We are pleased to announce the addition of a android mobile app for all of our users. The App is intended for traders/investors who love to learn and evolve with Marketcalls. You get updates on focused learning and observations about stock market movements, trading strategies & trading software. 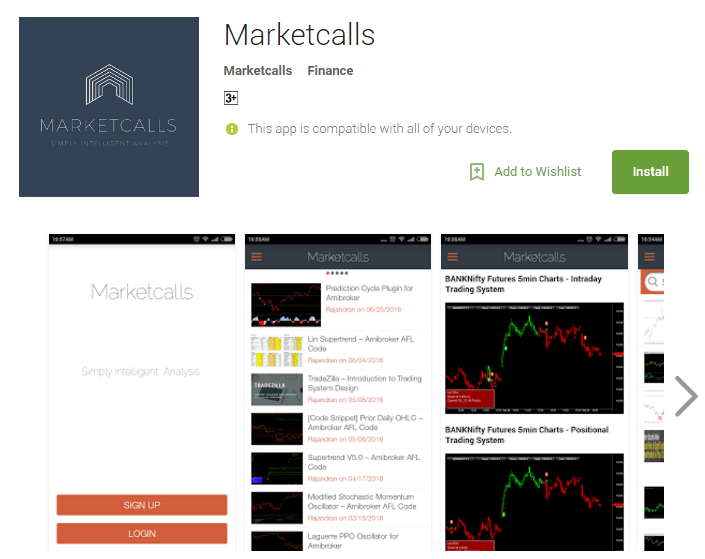 Coming Dec 2016, iOS users will have access to the Marketcalls mobile app via the App Store. The app will be free for all users, but will require a free signup to use. In case if you are facing any issues you can send your queries to support@marketcalls.in for any resolution. Hoping to add more interesting features in the upcoming version which really makes more sense from trading standpoint.